Omaha’s “Civic Auditorium Arena” & Rapid City’s “Rushmore Plaza Civic Center” were the scene for two of Elvis’ most talked about shows in his career. The shows were filmed for the upcoming CBS special that first aired October 3rd 1977. 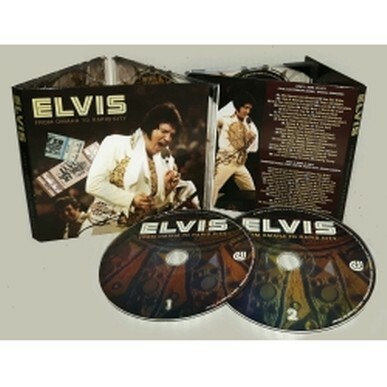 Also released on the same day was the “Elvis In Concert” double vinyl album. Many tracks contained overdubs. The album and special were compiled using parts of the two mentioned shows. Now on popular demand the two shows are available on this beautiful 2cd set.